A New Wave of Terror in Fiction! Gabriel Schist, a rugged genius, who in his younger years developed the vaccine for AIDS is now spending his remaining years in a nursing home with few memories that Alzheimer’s have stole from him. 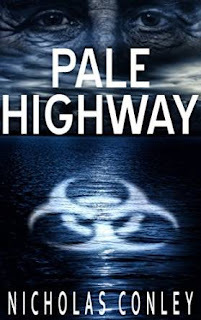 However, when one of the residents comes down with a gruesome virus that nobody seems to want to find a cure for, only cover it up, Gabriel, tries to convince the heads of the nursing home that he is the only man who can find a vaccine/antidote to destroy the virus, unaware and unprepared that the virus may not be what it seems to be and that the threat to destroy humanity may soon become a reality if Gabriel cannot find a solution in time before his own mental and physical deterioration take place. It is not often that my own words escape me as I try to recount the beauty, the true understanding of such a devoted man who struggles to hold off his own real-life manifestations to save everyone around him. Conley, has created a memorable, life-like and loveable protagonist who will stay with me for a long time and I have no doubt that this story will have an impact and raise awareness to each and every reader out there who has lost, or is losing someone in their lives’ to this despicable disease, as I and so many others have. Independent troubleshooter, Alex Leksin, is recruited by Prime Minister Saidov when the plan to reduce Russia’s reliance on an ever more hostile Europe is put at risk. Hell bent on expansion, President Karpev’s strategy is first to shift the markets for his country’s vast energy resources to the East and Saidov has been charged with overseeing a planned pipeline for Russia’s oil through Turkmenistan and Afghanistan to access these markets. Failure could mean catastrophe, spreading the conflict raging in the Middle East to Russia’s own borders. Fearful that the pipeline deal might be tilting off course, Leksin has only twelve days to report back before Karpev is due to sign the pipeline contract with the Turkmen President in Ashgabat. His investigation begins in Moscow at the conglomerate responsible for planning and funding the pipeline. Once the province of larger-than-life oligarch, Lev Usenko, the group is now run by his daughter, Vika, the woman Leksin was once to marry. Trickier still is the prospect of dealing with her embittered brother, Max. Against a background of political corruption, state-sponsored terrorism and increased Taliban insurgency, Leksin moves on to Turkmenistan, one of the world’s most sinister countries, right at the heart of Central Asia. Initially his enquiries reveal nothing to cause alarm. Other factors, though, suggest otherwise: wherever Leksin goes, someone tries to kill him; people in a position to help him are assassinated; and information turns out to be misinformation. And when at last he discovers the truth, he finds himself unsure of whom he can trust as the stakes get frighteningly higher. George Eccles, writing as G W Eccles, graduated from the London School of Economics with a law degree and subsequently became a partner in one of the major international financial advisory firms. In 1994, George left London to move to Russia and Central Asia during the tumultuous period that followed the breakup of the Soviet Union. His work involved extensive travel throughout Russia, Kazakhstan, Uzbekistan and Turkmenistan – often to places with restricted access to foreigners. During his time there, he advised a number of real-life oligarchs how best to take advantage of the opportunities that became available as regulation crumbled and government became increasingly corrupt. Against this background, while his novels are fiction, many of the anecdotes and scenes are inspired by actual events. His first thriller: The Oligarch, was awarded a Silver Medal both at the Global E-book Awards 2013 and at the Independent Publishers Book Awards 2013, as well as being selected as IPPY Book of the Day. George is married and now lives with his wife in a hilltop village not far from Cannes in the South of France. 1. What inspired you to write Corruption of Power? 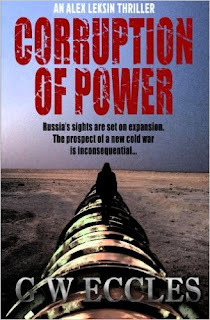 Corruption of Power is the second in what I see as the Leksin thriller series, the first being The Oligarch. They are both based in Russia and what many people regard as Russia’s soft underbelly, the Caucasus and the Central Asian republics. I lived and worked in these regions for over ten years and, until fairly recently, still had business interests that required regular visits. I think my inspiration to write thrillers set there stemmed out of my own personal experiences and observations. Life there, particularly business life, was very different. I was in Russia during the effective birth of the oligarchs when a weakened Yeltsin government sold the nation’s ‘crown jewels’ to a handful of individuals for a song. At this time, if you headed companies in certain industries (such as natural resources or banking), you ran a severe risk of a shortened life span. The man who lived in the flat the other side of the forecourt of my apartment block used to sit on his balcony and clean his guns on Sunday mornings. The IMF loaned over four billion dollars to Russia, which simply got ‘lost’ a couple of weeks later. In Central Asia, being based in Almaty in Kazakhstan, it took me three days every time I wanted to fly to Ashgabat to visit my office there, even though a direct flight (if there had been one) would have taken 2-3 hours. Judicial decisions were based not on evidence, but on the weight of the bribes. Large conglomerates ran major commercial activities ‘off book’. To be honest, it was a gold mine for a budding writer. 2. Do you have a specific writing style? I unashamedly write thrillers, so my style is to try and keep the action moving as fast as possible while, from time to time, giving the reader a chance to pause for breath. I keep the chapters short as a means of keeping the action flowing. My hero is Alex Leksin, an independent troubleshooter, and whenever he appears in the book, the story is told from his point of view. If he’s not around and the scene includes one of the half-dozen main characters, then it’s told from their point of view. 3. How did you come up with the title? Corruption of Power is a political thriller involving two governments: one Russian, the other Turkmen. Both are essentially corrupt, though in different ways; and both are looking to extend their power base, though again in different ways. In an earlier draft, I had the Lord Acton quote on the first page – “Power tends to corrupt, and absolute power corrupts absolutely” – and a different title, but in the end I decided to reflect the quotation in the title but drop the actual quotation. 4. Is there a message in your novel that you want readers to grasp? Not really, it’s a thriller and designed above all to entertain. Given the unfamiliar locations in which it’s based, I hope it will also give the reader an insight into these countries and life there. 5. How much of the book is realistic? Corruption of Power is fiction, although the key premises that Russia is looking both to expand into some of its former states (e.g. Crimea and Eastern Ukraine) and to reduce its reliance on Western markets for its natural resources (e.g. the recently announcement pipeline to China) are real. Similarly the threat that ISIS poses is real – not just to Russian aircraft bringing holidaymakers back home, but also in the soft underbelly like Chechnya and Dagestan where there is a strong Muslim population, many of whom see Russia as the oppressor. A number of the anecdotes in the book are real, and generally the locations used are all ones I knew well from my own time in the region. 6. Are experiences based on someone you know, or events in your own life? A lot of the frustrations that Leksin encounters are based on my own in the region (e.g. the discomfort of travelling, staying at the Nissa Hotel, being followed for the day by the KNB in Ashgabat). The character of Leksin, and the role he plays, is certainly influenced by someone I came across when I lived in Moscow. He had a very similar job, being called in to sort out major business issues in an unconventional way – and in those days, there were plenty of major business issues. Large companies were haemorrhaging cash by the millions as management bled them dry and transferred corporate money into their own Swiss bank accounts. 7. What books have most influenced your life most? 8. If you had to choose, which writer would you consider a mentor? John Le Carre. There are plenty of excellent thriller writers, but so far as I’m concerned, Le Carre is in a class of his own. If Leksin (as he develops) can be half as good as Smiley, then I’ll really feel I’ve achieved something. 9. What book are you reading now? I’m just about to start Dictator by Robert Harris. 10. Are there any new authors that have grasped your interest? New to me rather than new, perhaps, is Nick Louth, who had a breakthrough moment last year with ‘Bite’ which I thought was excellent. 11. What are your current projects? 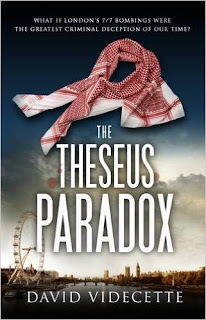 I am in the middle of the third in the Leksin thriller series. It’s inspired by actual events: a group of individuals lost vast sums in an abortive Moscow investment, and then each of them met mysterious deaths. That is true. What’s fiction is that Leksin is brought in to investigate. 12. Name one entity that you feel supported you outside of family members. Can I answer this by naming a group? The literary bloggers. I have been overcome by how willing people who run book blogs have been to respond to my requests to help promote Corruption of Power. All of them have been kind, helpful and encouraging, and I’d like to take this opportunity to express my gratitude. 13. Do you see writing as a career? Yes, I very much hope so. I’m under no illusions about how hard it is to make a career in writing, but I’m keeping my fingers crossed that Corruption of Power will be sufficiently successful to kick-start it. 14. If you had to do it all over again, would you change anything in your latest book? To be honest, I don’t think so. I wrote and rewrote it so many times over quite a long period, and I am pleased with the result – at least, I think I am, though it’s the readers who will ultimately tell me whether I’m right to be pleased! 15. Do you recall how your interest in writing originated? I’ve always had an urge in the back of my mind to write, but until I stopped being based in Central Asia, I never had time. I should perhaps mention that, some thirty years ago, I wrote a series of books on corporate and employment law published by Tolley’s and Longman, so I was in some ways used to the discipline of writing and the process of going from manuscript to publication. 16. Can you share a little of your current work with us? I think I’ve answered this in Question #11. 17. Is there anything you find particularly challenging in your writing? The rewriting and editing process is definitely the most challenging. I’m quite methodical in my initial approach to a project and work from a quite detailed plan, so writing the first draft is generally not problematic. However, I’ve found that it takes me much longer to get from first draft to final draft than it does to get from a blank sheet of paper to first draft. It’s after the first draft is ready that the real work begins. 18. Do you have to travel much concerning your book(s)? As I mentioned, long before I started writing, I travelled a great deal in the regions in which my thrillers are set. A few months ago I returned to Moscow to update myself on how it had changed, to find out where people now ate, and so on, so that this could be reflected in the book I’m now writing. 19. Who designed the covers? Peach Publishing. Inevitably we went through several drafts before we hit upon one with which everyone was happy. 20. What was the hardest part of writing Corruption of Power? Changing the story to reflect changes in the geopolitical situation. When I started writing it, Russia hadn’t invaded Crimea, the Russian-encouraged separatists hadn’t started a civil war in the Ukraine, the West hadn’t imposed sanctions, the oil price hadn’t plummeted, the rouble hadn’t halved in value, no one had heard of ISIS and there was no civil war in Syria. All these developments had to be accommodated in the plot. 21. What were the challenges (research, literary, psychological, and logistical) in bringing it to life? First, finding the time. I don’t write fulltime, I write in spurts. I try to keep up my other interests as much as possible. Second, research. While most of the locations are places I know well, and while my previous work gave me an insight into the political and administrative background of the countries involved, things inevitably change – and without being on the spot, it requires considerable desktop research to keep up-to-date. Simple details matter – if a reader catches you out on one point, it casts doubt in his mind on the accuracy of the rest. Things change in little ways – when I was in Moscow a few months ago, I found the policemen were polite and Uber was thriving! This is the second instalment in the Leksin series and follows main protagonist, Alex Leksin, who is an independent trouble-shooter, recently recruited by Prime Minister Saidov and President Karpev, to investigate a planned pipeline deal that involves shifting Russia’s vast energy resources to the East. Leksins mission is to check the pipeline deal is above-board. Saidov wants Leksin to give the project a clean bill of health. However, Leksin only has twelve days to report his findings before Karpev is due to sign the pipeline contract with the Turkmen President in Ashgabat. Leksin begins his investigation in Moscow only to discover that the heterogeneous group that are responsible for planning and funding the pipeline contract are his ex-partner and her spiteful brother, Max. Leksins further investigations lead him to Turkmenistan, one of the world’s most sinister countries and from this moment onwards Leksin must be on his guard as he finds killers on his trail who will stop at nothing to eliminate him by assassinating the only people who can help him and that the intelligence he is given turns out to be false and misleading. Leksins mission for the truth leads him from one terrifying situation to the next where the risks of surviving get considerably higher. This novel explores two governments, one Russia, the other Turkmen, both of which are corrupt and looking to expand their powerbases in different ways. Corruption of Power boasts an elaborate and complex plot, where the twist and turns are particularly surprising and plausible. The strength of the novel lies within the unfamiliar locations where it is based and gives the reader a real insight into the growth and culture there. Eccles has fashioned a suspenseful and engaging story against the backdrop of political corruption, state-sponsored terrorism and increased Taliban insurgency that I am in no doubt reflect the times in which we live in today. Congratulations Mr Eccles, for bringing us a fundamentally flawed hero who in the face of danger combats adversity through bravery. I look forward to reading more of Leksins adventures. Void is an emotional packed tale about a group of six friends who all come from messed up situations and try to deal with their own underlying issues that tend to hold them back. Each unique character has a number of personal struggles they try to overcome that are connected to the world, from domestic abusive, controlling relationships, struggles with sexual identity, loss of a loved one and many more real-life tragedies and dilemmas that are very difficult to defeat. VOID is a keeper that I will keep re-visiting time and time again. Disclosure: I received this book free from the author in exchange for an honest review. This does not affect my opinion of the book or the content of my review. The novel is set in Granada, Nicaragua, and follows main protagonist, Luke Canton. Luke is half way through his life with no income, a few friends and finds himself once again starting over in a foreign country. After 12 years of study and a PHD in Transformative Studies, Luke sets out on a mission to let people know that they have been mislead and he wants to empower them to understand that they have the power to change their world through the movement of nonviolent conflict for global transformation. 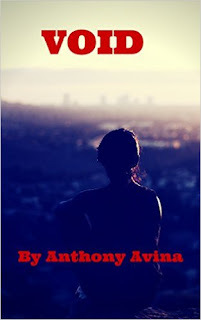 However, his unique offering to the world to promote human sovereignty doesn’t go as planned as he encounters an unexpected romance that will challenge him in ways he never thought possible and perhaps encourage him to find his greatest purpose in life. 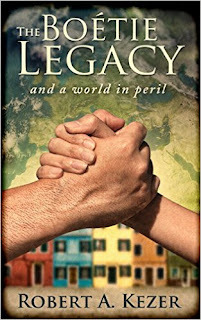 The Boetie Legacy and a World in Peril is a thought-provoking book that deals with difficult moral issues, global issues and exposes the misinformation being used to wield the public. This inspiring book gives people hope and courage to change their world and will equip readers with a better understanding of what nonviolent conflict is and how it can be used in the future to counter oppression. Detective Inspector Jake Flannagan, the main protagonist, works for The Metropolitan Police Service - Anti-Terrorist Branch. The story starts sixteen months earlier to the 7/7 bombings where Jake uses an old woman’s house for cover to spy on a group of al-Qaeda operatives in West Yorkshire (Operation Crevice). Sixteen months later he follows the same group back to Leeds, convinced these men are planning something big, unaware his unofficial investigation results in injury and a rollicking from his bosses. Jake soon learns while he is in hospital that there are four separate explosions, three tube trains and a bus in London and he is asked to set up ´Operation Theseus´ in West Yorkshire to find out who helped the bombers commit the crimes. ´Operation Theseus´ forces Jake and his team into a number of covert missions, arrests, examining phone data, the discovery of peroxide-based explosives, kidnap and a bomb factory. Still, Jake is under immense pressure for results in a case that provides more questions than answers and that all the work Jake and his team have conducted over the weeks and months will not prepare them for the most shocking deception of all time. 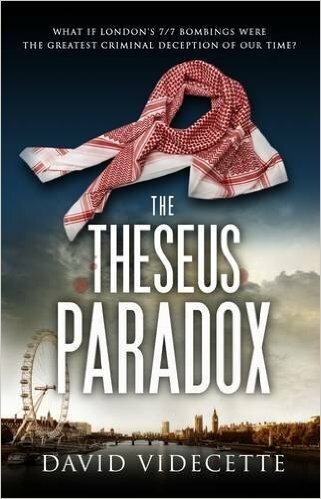 The Theseus Paradox is a stunning début novel, intelligent and fluently written with an exciting plot. I simply couldn’t put it down in fear I would miss something crucial. I was pretty much blown away with the highly unpredictable ending and I am still trying to absorb it, as it’s the last thing I expected. Well done, Mr Videcette for giving us a life-like hero, who has flaws in his personal life that most readers will be able to connect and identify with. I sincerely hope this is not the last we have heard of DI Jake Flannagan.